The Beautiful Amphitheatre and Gardens. 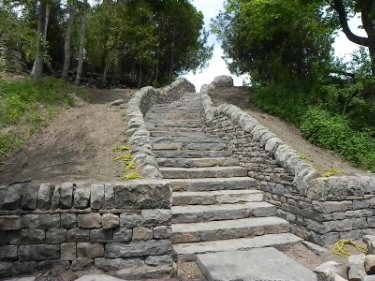 The Amphitheatre, built on the Saugeen First Nation # 29 overlooks the gorgeous Saugeen River. Scenic views and walkways accent the wondrous sounds of nature as you wind your way around the Nature Trails which bring you back to yourself. Check out our Facebook page and or Youtube page by clicking on the social media links on the top right corner of the page.